Hi everyone! 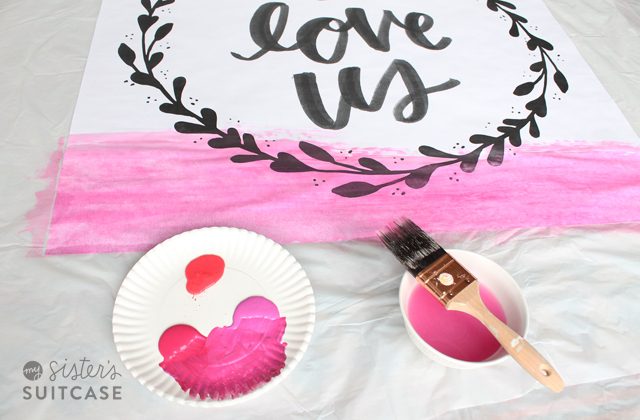 It’s Holly from My Sister’s Suitcase, back again to share an easy decor project that will make a big impact in your space — faux watercolor art. This is something that can be customized for a certain holiday, or kept up year-round. 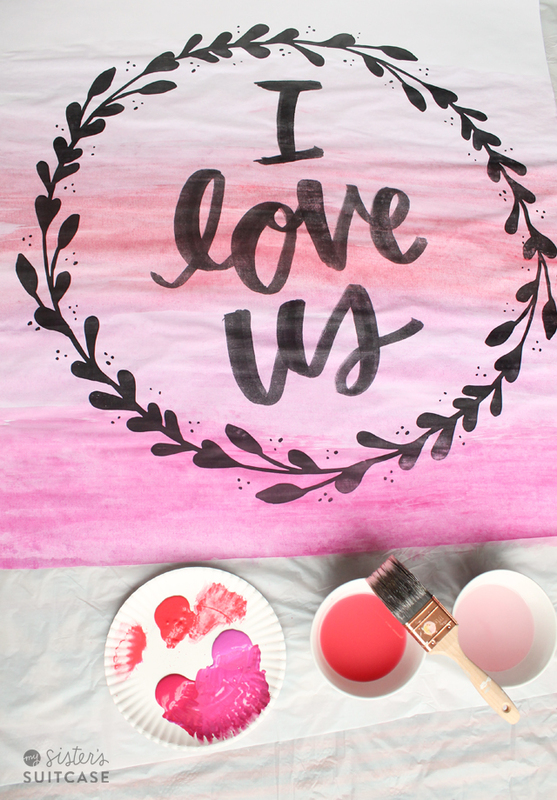 I decided to put a Valentine’s Day spin on my watercolor art, and I love how it turned out! 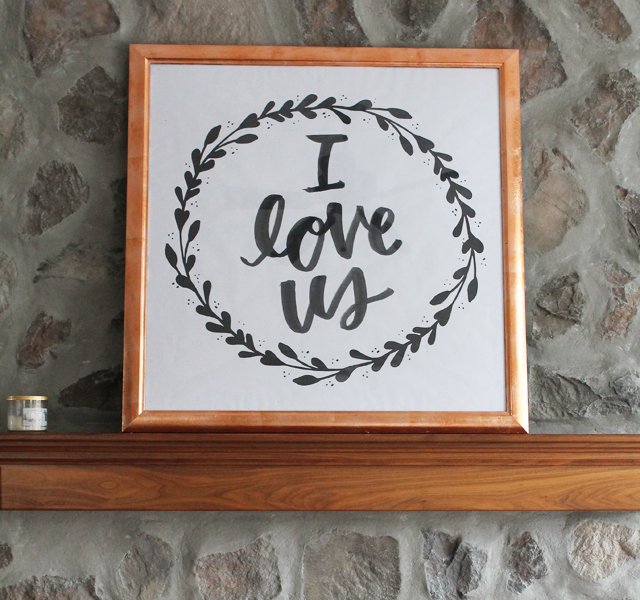 Here’s what it looked like after I printed it and put it in the frame, plain black and white. 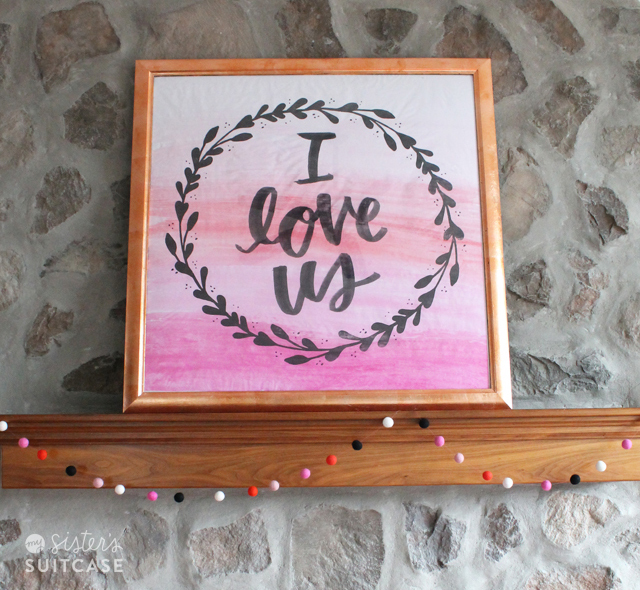 I wanted to add some color and simple Valentine’s decor to my mantel, that’s when I had the idea to turn this print into a watercolor! Decide which color you want to start with, and work your way up from darkest to lightest pigment. I wanted an ombre effect, where it would just fade into white at the top of the print. 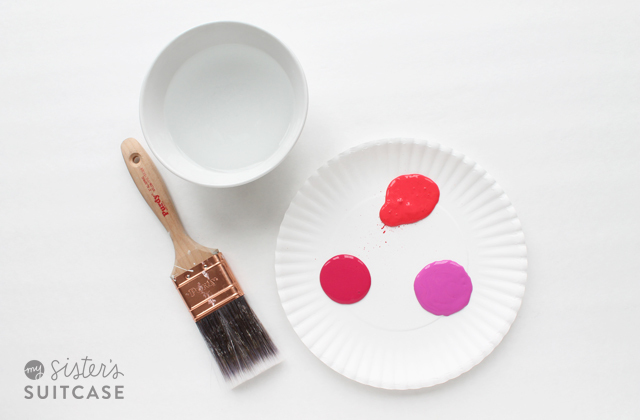 I mixed two pink shades with the dry brush to create my first color, got some paint on the brush, then dipped the brush in the bowl of water and swirled it around. Then I just brushed the color on with big strokes across the bottom of the print. I let it dry almost completely and then placed it into my DIY copper-leaf frame. The paper my be a little wrinkled as it dries, so here is a tip. Once you have the print inside the frame, face down, spray the back of the paper with a light mist of water from a spray bottle. This seems to calm the paper down and make it lay flatter. Then add your backing piece and secure the back of the frame. That’s it! Step back and enjoy your watercolor art! I was able to do this entire project during commercials of the Bachelor on hulu! So it really is simple and anyone can do it. If you are thinking about trying it, make sure to pin for later! 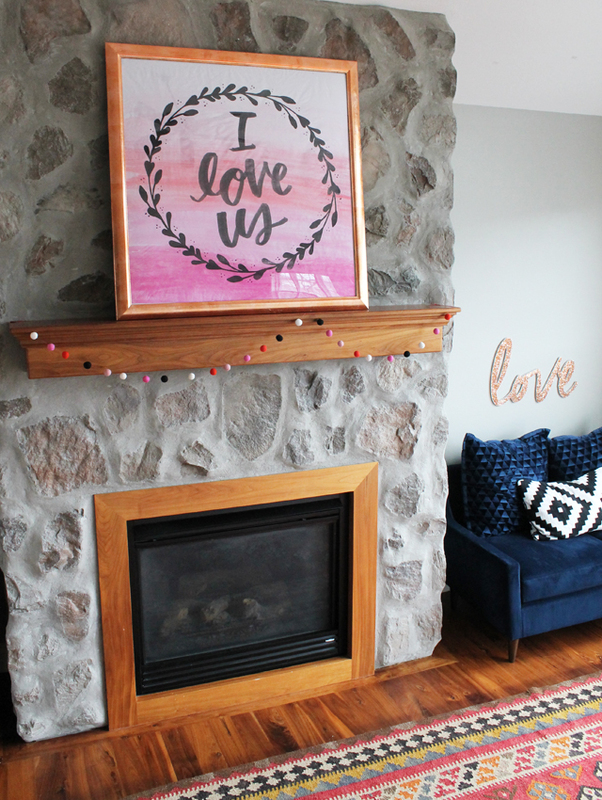 This DIY Glitter Love Sign is the perfect touch for adding a little glam to your Valentine’s Day Decor! 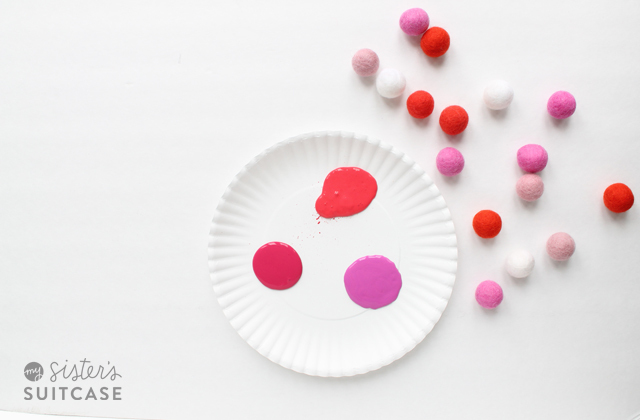 And, these Paper Straw Love Letters are just so sweet, too. 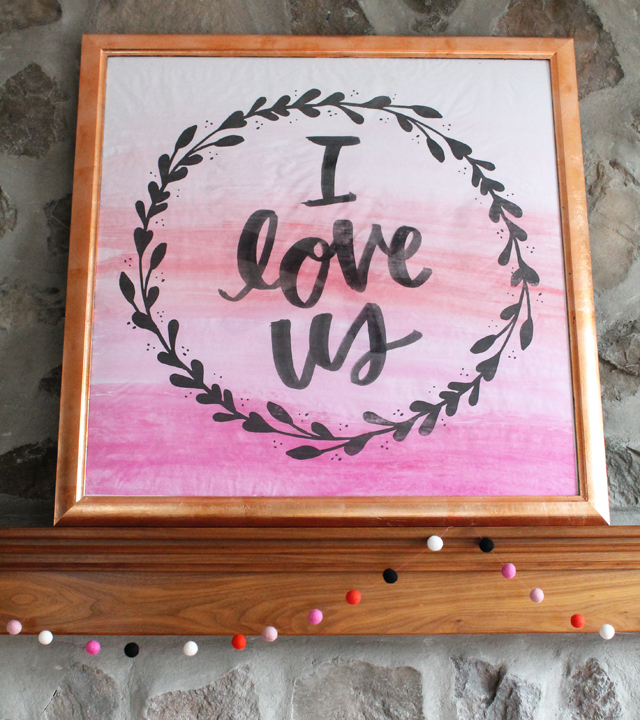 And here’s another fun idea — Embroidery Hoop Valentines Day Art from Mod Podge Rocks! 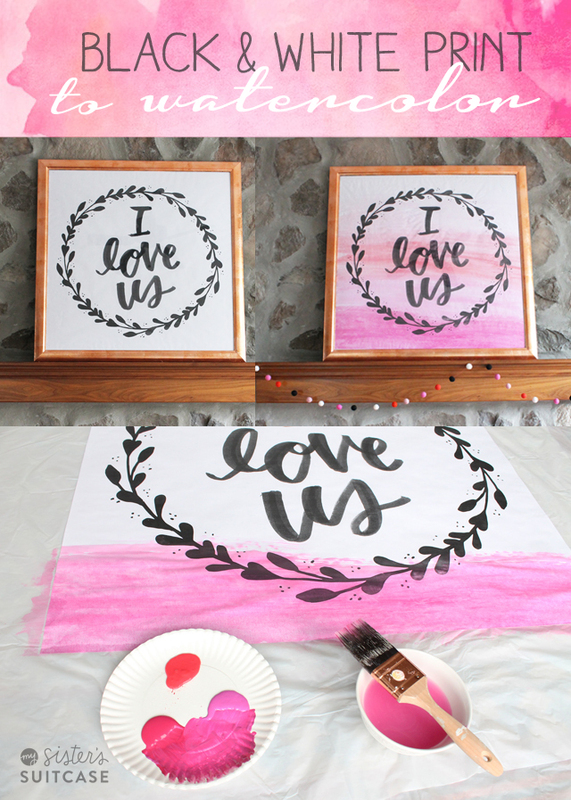 14 Black and White Valentines Day Decorating Ideas! 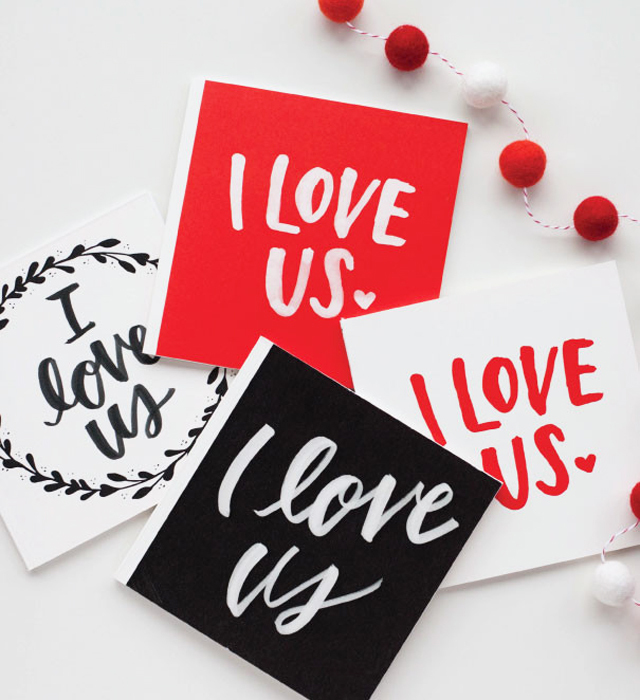 Adorable Valentine Postcards – Free Printables! Link Party Palooza — and Date Basket Giveaway! Another favorite of mine! Thank you for the post, I love it! So cute! I love the painted ombre! P.S. Those ‘looking sharp’ Valentine’s are adorable!